I wanted to provide a link to another effort I am pleased to be involved in: DeepEnd Research. From the website: "We are pleased to introduce DeepEnd Research, an independent information security research group that will focus on threat and intelligence analysis. Our emphasis will be on malware, exploit analysis, botnet tracking, the underground economy and overall cyberthreats. We will blog about various collection and analysis techniques, observations, and other areas of interest." Another primary goal of DeepEnd Research is to foster collaborative research and analysis efforts with other security groups and organizations. We welcome any opportunities or inquiries as to projects involving common areas of interest." 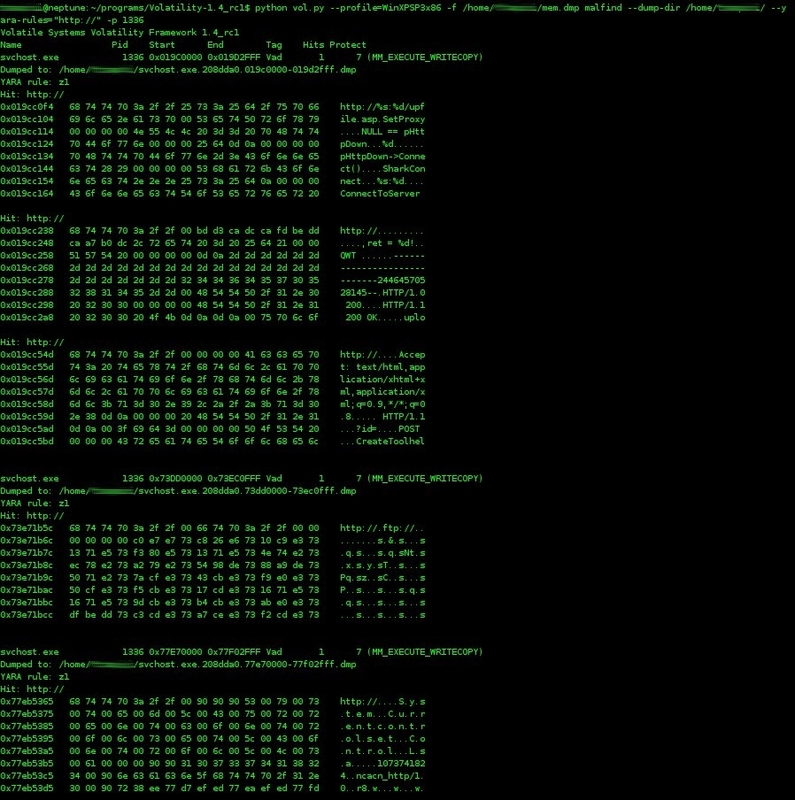 I just posted DeepEnd's first blog entry, "Dirt Jumper DDoS Bot - New versions, New targets" a combined research and analysis effort with Mila Parkour of Contagio. One of the more interesting aspects to the Internet, is the area of anonymity and hidden services. While many people are familiar with the Tor network, there is another "network" that is gaining rapidly in popularity. The I2P Anonymous Network is a peer-to-peer network in which all traffic is encrypted end-to-end. I became interested in I2P after seeing a tweet by @OpBritain where I2P was mentioned. While looking into I2P further, I saw several pastebins where it was again mentioned and discussed. From the I2P website, "I2P is an anonymizing network, offering a simple layer that identity-sensitive applications can use to securely communicate. All data is wrapped with several layers of encryption, and the network is both distributed and dynamic, with no trusted parties. I2P is designed to allow peers using I2P to communicate with each other anonymously — both sender and recipient are unidentifiable to each other as well as to third parties." Unlike Tor where a "directory" of the network is maintained, I2P maintains its network database via peer profiling and router info. 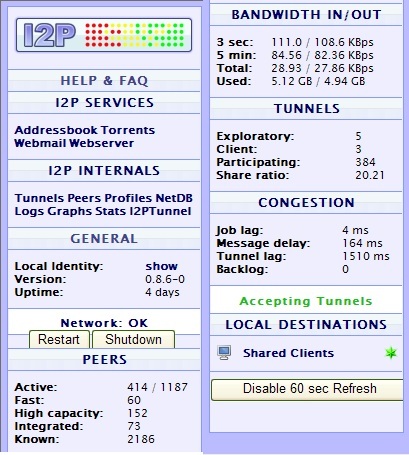 The I2P network selects its peers by a profiling process that continually ranks performance and updates the "I2P netDb", which is contains constantly updated information on router contact information called "RouterInfos" and the destination contact information, called "LeaseSets". This netDB is distributed via a technique called "floodfill", where a smaller subset of I2P routers, known as the "floodfill routers", will maintain this distributed database. I2P uses virtual, unidirectional tunnels that pass through a series of routers, and are typically 2 to 3 hops. Each round trip message and reply will require four tunnels. One each for the sender and recipient's inbound and outbound traffic. Tunnels are created using what is known as "Garlic Routing" (a shot at Tor's Onion routiing??) A Tunnel build message is sent via Garlic routing to an I2P router requesting that it participate in the tunnel. 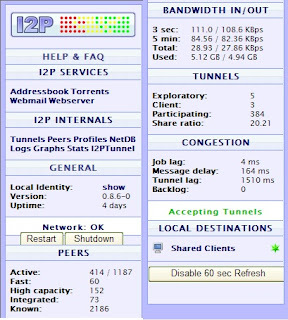 One of the primary uses of I2P is via an I2PTunnel application which allows for familiar TCP/IP applications to be run through the I2P network. I2P has been around since 2003 and has a Java client, where it will run on Windows, Linux, and MacOS. After installation, you are presented with a very comprehensive control and informational page. Browsing to websites within the I2P network (called eepsites) as well as anonymous browsing to public sites. A custom build of Firefox called I2PFox that is hardened and built specifically for I2P is also available. Hosting of your own eepsite. You can make your eepsite exclusive to I2P, or also available to a public browser. Search. You can search for I2P content and sites via http://eepsites.com. You can also use Google to find http://xxxx.i2P.to websites accessible without I2P proxy. Susimail/2IpMail. Anonymous email to/from public Internet. More on this below. IRC. Anonymous chat via a local IRC tunnel that directs to one of two I2P IRC servers. There is also an I2P Instant Messenger and the ability to run your own anonymous chat servers. More on this below. I2P-Messenger encrypted, serverless instant messenger. Tahoe-LAFS. You can use it from within the I2P network. Syndie. System for distributed anonymous forums. An "eepsite" is simply a website that is hosted anoymously within the I2P network and accessed via HTTP tunneled back via I2P. This is similar to Tor "hidden services". An I2P user would access these sites by setting their web browser's HTTP proxy to localhost:4444, and localhost:4445 for HTTPS. An I2P eepsite will have a URL with .i2p as its top level domain, such as http://sempersecurus.i2p. By use of an "outproxy", an I2P user will also have access to external HTTP, HTTPS, and email services. The I2P "httpclient" application allows for this outproxying. If the requested hostname does not end in .i2p, a random outproxy will be selected from a user provided list, and the request will be sent there. These outproxies are basically I2P servers that are voluntarily run specifically as an outproxy. 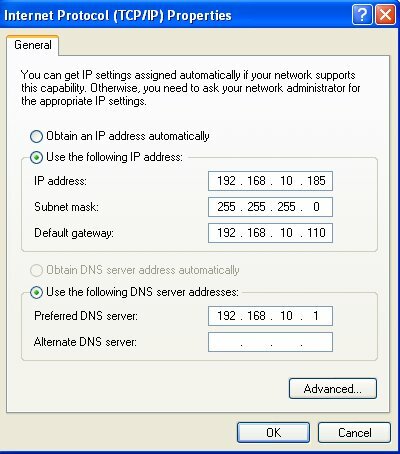 No I2P router instance is an outproxy by default. There are a wide variety of eepsites running in the I2P network. Just reading through the addressbook listings is interesting and reflects the scope of material you can find in I2P. The internal I2P web landscape reminds one of the public Internet from the mid 90's. Searching is rudimentary, some sites work great while others are barely usable and are functional only for a few hours a day. However, availability is not the objective with eepsites, anonymity is. A site name is selected that won't collide with the name of another eepsite currently listed in the I2P addressbook. Add your new site name to the eepsite I2P tunnel configuration page. Content is placed in a 'docroot' folder which is created at installation. Start the eepsite from your router control panel. 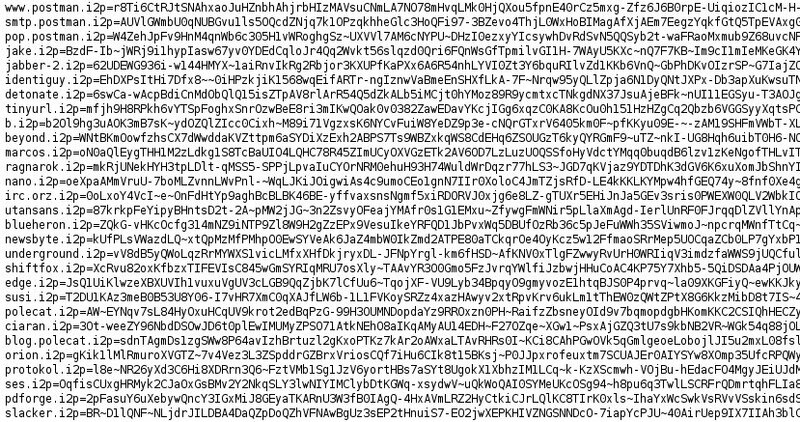 Highlight the full destination crypto key that was created for your site. Enter the eepsite name and the crypto key into your master address book. Additionally, you should now register your .i2p domain in one of the I2P address books. The I2P routers periodically pull address book updates from these sites, so eventually your site will be listed across the I2P network. A java email client called Susimail can be accessed directly from the I2P router console window at http://localhost:7657/susimail/susimail. SusiMail allows you to send and retrieve I2P mail and was designed specifically for strong I2P privacy and anonymity. Creating an email account is takes minutes via a Postman HQ site, and chances are good that you can get your coveted address, the one you could never get on Gmail :) Oddly, I2P email only accepts letters and numbers for the password. The interface is spartan, but it works quite well most of the time. "Your password is too complicated"
"All User-Agent: and X-Mailer: header lines are automatically removed and replaced by the line X-Mailer: smtp.postman.i2p Official I2P Mailer. - All Received: tags are removed (apart from the very last one)"
The following chart shows comparative email headers after testing sending emails between I2P and Gmail. There are several good resources online pertaining to the basics of I2P mail, I just want to address a concern often expressed about anonymous mail services - abuse and its potential usage for spam and malware distribution. To prevent abuse, I2P mail sets a quota for outgoing mail to 20 recipients per day. Every day at 0:00 UTC the quota is reset . You can “buy” up to 80 recipients a day by paying in hashcash tokens / CPU cycles. You cannot “hoard” your recipient quota, the number is reset to 20 every day. Additionally, there are limits on how much mail you can store and for how long. Old mail gets deleted after 180 days, but you can easily download it via POP3. You can use only your own address as the return path and the auth login name has to match the sender. The sender is able to forge the "From" address but the return path is added by the MTA and will match the actual sender. Well, not exactly snail speed but by default, messages are delayed 20-50 min to provide further anonymity by skewing the time you appear to be online. In several testing runs, the delay was seen to be as much as 3 hours. This delay setting can be changed in the Account Management section and set it to deliver ‘immediately’. Testing I2P email to and from Gmail arrived almost instantly. All these measures and features make the use of I2P mail for spamming and phishing rather impractical. An attacker would find it easier to use a compromised or misconfigured relay server or free webmail as opposed to I2P mail. Again, the primary goal of I2P email is anonymity. I2P maintains anonymous IRC servers that can easily be accessed via an IRC client such as mIRC or xchat. After establishing with I2P, pointing the IRC client to 127.0.0.1, port 6668 will get you connected. 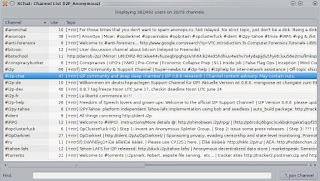 There are many channels available on the I2P server, and users can create their own. An I2P user can also establish their own IRC server and allow other I2P users to access it. The server is established similar to how an eepsite is built where a hostname and crypto key are generated for the particular destination. In order to connect to another I2P user's private IRC server, it was required to modify your subscription list to add the crypto keys of the destination. 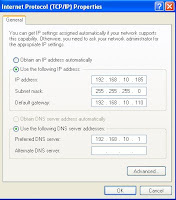 Next, you would create a tunnel to the destination and add that to your router address book while selecting a connection port (ie. 6669). At that point, pointing your IRC client to localhost, port 6669 would get you connected. Since June, 2010, I2P now supports a SOCKS IRC tunnel for clients supporting SOCKS5. By configuring your IRC client to uses SOCKS5 at localhost, port 9052, you can connect to any i2p IRC server through your client, without setting up separate tunnels for each. I2P is a much smaller network, compared to some better known networks like Tor but it has seen continuous growth over the past year. The best source of the current infomation about the total number of routers, the network health, and other data collected over the years about I2P is located at http://stats.i2p.to. As you can see below, at the time of the screenshot, there were 4665 routers available online, roughly twice as many as it were available a year ago. The number is constantly changing, please see the site for the most current information. The Official site is the best place to start as it has the most comprehensive information about available services, installation, and resources. Papers, Presentations, and Videos about I2P - Site maintained on the primary I2P Website. Updated regularly. Once you are on I2P, this is the best source of information for the patches, updates, tips and help. A very active I2P user forum. Ask questions, read answers. Full of news, announcements, and discussions. I want to particularly thank Mila Parkour of Contagio for her excellent assistance, research, and illustrations. Whether you are performing digital forensics, or just have an interest in malware, a sandbox environment is an essential part of your analysis program. Sandboxing services can save time and provide a quick and easy glimpse into a suspicious files behavior. 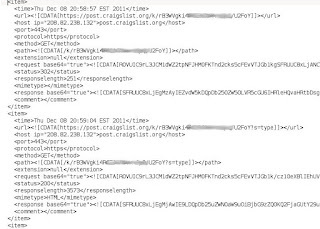 I received an email this morning from Jose' Nazario of Arbor Networks where he provided a link to a list made by Buster (author of Buster Sandbox Analyzer) of various sandboxing tools and services." I decided to take that list, check out and update each of the links and provide a brief description of the various services. I also added a few other services that I'm aware of. For this blog post, I'm not providing any opinions or reviews. I'm just listing the service, URL, and a basic description as quoted by the provider. These are the malware analysis services and software that I am currently aware of from the Buster Sandbox link, or via other sources. If you know of any other good malware analysis services, please feel free to drop me an email and I will add it to the list. "We can accept any type of file including executables, documents, spreadsheets, presentations, compiled help files, database packages, PDF, images, emails, or archives. You can also submit a file from a remote web address." "View PDF objects as hex/text, PDF dissector and inspector, scan for known exploits"
"Joe Sandbox is a fully automated analysis system for trojans, viruses and rootkits (malware). It requests malicious executables such as PE, PDF (Acrobat Reader) or DOC (Microsoft Word) files as input and returns highly detailed reports describing the behavior of executables being executed"
"Anubis is a service for analyzing malware. Submit your Windows executable and receive an analysis report telling you what it does. Alternatively, submit a suspicious URL and receive a report that shows you all the activities of the Internet Explorer process when visiting this URL"
"Submit a Suspicious File for a FREE Malware Analysis"
"Due to heavy load, the public site does not support: URL or BHO analysis, zipped files or analysis of infected documents." "ThreatExpert is an advanced automated threat analysis system designed to analyze and report the behavior of computer viruses, worms, trojans, adware, spyware, and other security-related risks in a fully automated mode." "Eureka is a binary static analysis preparation framework. It implements a novel binary unpacking strategy based on statistical bigram analysis and coarse-grained execution tracing. Eureka incorporates advanced API deobfuscation capabilities to facilitate the structural analysis of the underlying malware logic. " "xandora.net is a tool for analyzing the behavior of Windows PE-executables with special focus on the analysis of malware. Execution of xandora.net results in the generation of a report file that contains enough information to give a human user a very good impression about the purpose and the actions of the analyzed binary. The generated report includes detailed data about modifications made to the Windows registry or the file system or other processes and of course it logs all generated network traffic. The analysis is based on running the binary in an emulated environment and watching." or submit a suspicious URL and receive a report that shows you all the activities of the Internet Explorer process when visiting this URL." "An Open Source dynamic malware analysis system which allows you to get informations on suspicious files in a completely automated fashion. * Relevant Windows API calls tracing of all recursively spawned processes. * Network traffic dump generated during malware execution. * Files being downloaded and deleted during execution. * Screenshots taken during malware the whole analysis process." "Software and tips to easily build up an automated malware analysis station based on a concept introduced in the paper Mass Malware Analysis: A Do-It-Yourself Kit." "Zero wine is an open source (GPL v2) research project to dynamically analyze the behavior of malware. Zero wine just runs the malware using WINE in a safe virtual sandbox (in an isolated environment) collecting information about the APIs called by the program. " "Buster Sandbox Analyzer is a tool that has been designed to analyze the behaviour of processes and the changes made to system and then evaluate if they are malware suspicious. This project contains the source code which runs at the website http://jsunpack.jeek.org/. On April 13, 2011, The FBI and the Dept. of Justice announced that they had received a temporary restraining order allowing them to disable the Coreflood botnet. Coreflood is believed to have had over 2 million infected "drones" under its control, and was responsible for a wide variety of nefarious activities including DDoS and bank fraud. Now that the Command and Control servers have been disabled, the primary task at hand is in remediation, as well as the notification of victims. There often are questions on the best way to identify botnet infections on a local network, and Coreflood is no exception. I've listed below some information that will help identify Coreflood traffic, as well as provide some basic remediation suggestions. Download and install the current version of the Microsoft Safety Scanner which has a full signature set. Install an established Anti-Virus program, ensuring that current updates are applied. Most updated AV software will detect Coreflood. I recently had the opportunity to collaborate with Mila Parkour from Contagio in her research of the recent Adobe Flash 0-day (CVE-2011-0611) During this research, I utilized some basic memory forensics in an effort to learn more about the exploit in a running state on a compromised machine. This was also a good opportunity for me to try the latest version of "volatility - An advanced memory forensics framework". I had been a user of version 1.3 and its associated plug-ins, but with the 1.4 beta version recently released, I thought I'd give it a try. For the CVE-2011-0611 analysis, I started with a fully patched XP Professional VirtualBox guest. I ensured that I had the latest Flash and Reader versions from the Adobe site. I also ensured that my Office 2007 installation was fully patched. I started an instance of wireshark on my host computer and tested that it was only seeing packet traffic from the guest. One major difference between VMWare and VirtualBox is in its saving of live memory. If you suspend a virtual guest in VMWare, it will create a suspend file with a .vmem extension that is essentially a memory dump at the time of the suspend. Most memory analysis tools such as volatility will work seamlessly with a .vmem file. VirtualBox handles the suspend, or 'save machine state' a bit differently, in that it will only dump the memory that was actively used at the time of the suspend. In this case, you will need to use another method to dump out the full RAM contents. In my case, I utilized win32dd.exe by MoonSols . Note that using a program such as win32dd.exe will leave artifacts of the program in memory. Once everything was ready, I launched the infected document and waited until I saw network activity to liciayee.dyndns-free.com at 123.123.123.123. At this point, I executed win32dd.exe and saved the memory file to my server as "mem.dmp"
volatility 1.4 includes many default plug-ins and commands that will allow for some very good preliminary analysis of your memory dump. The first thing that you should run is the "imageinfo" command which will provide basic info about acquired dump. This will also tell you the suggested profile to use for subsequent analysis. 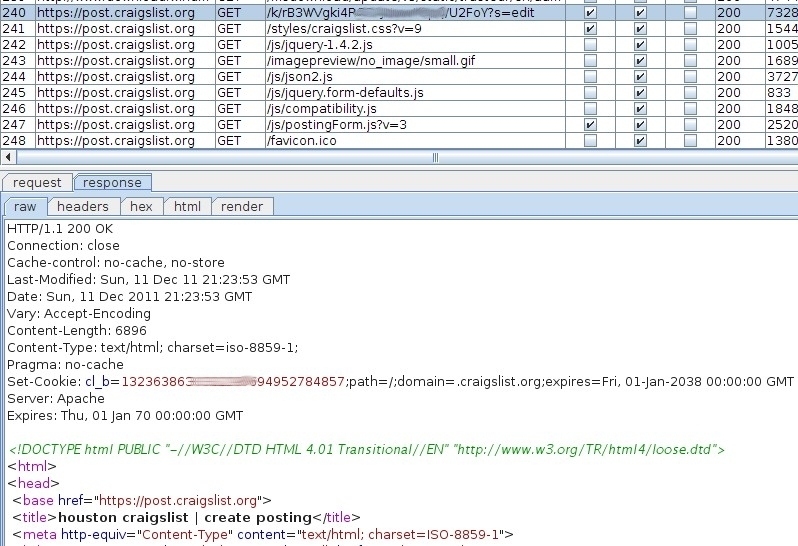 The image below shows this command being run against 'mem.dmp'. Note that one of the suggested profiles is 'WinXPSP3x86'. Since I know that my guest VM is SP3, I will use this profile in all my volatility runs against this dump. 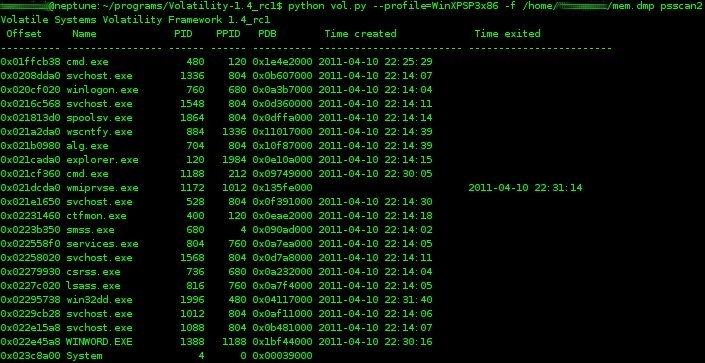 volatility has a number of commands that will detail the running processes. Two such commands are 'pslist' and 'psscan2' . 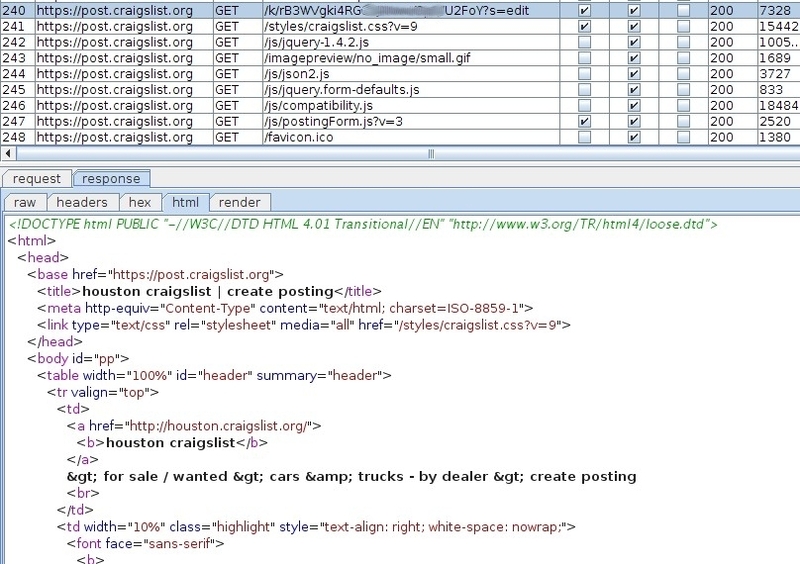 From the volatility wiki, "To list the processes of a system, use the pslist command. This walks the doubly-linked list pointed to by PsActiveProcessHead. It does not detect hidden or unlinked processes." The psscan2 command will utilize pool tag scanning to enumerate running processes. This may help identify terminated processes or those hidden by a rootkit. For consistency, I ran the pslist command with the "-P" switch, which displays the physical memory offset. Next, I wanted to view the active connections and the process ID associated with the TCP connection to 123.123.123.123. 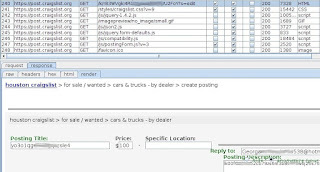 The command, 'connections' will list active connections, the PID, and the remote IP address. 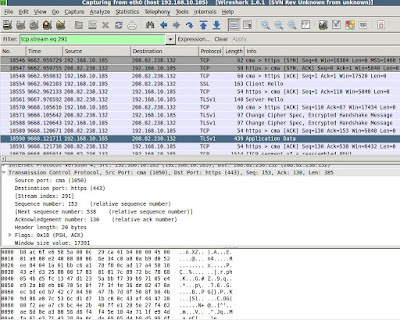 In this case, you can see that process ID 1336 is associated with the TCP connection to 123.123.123.123. 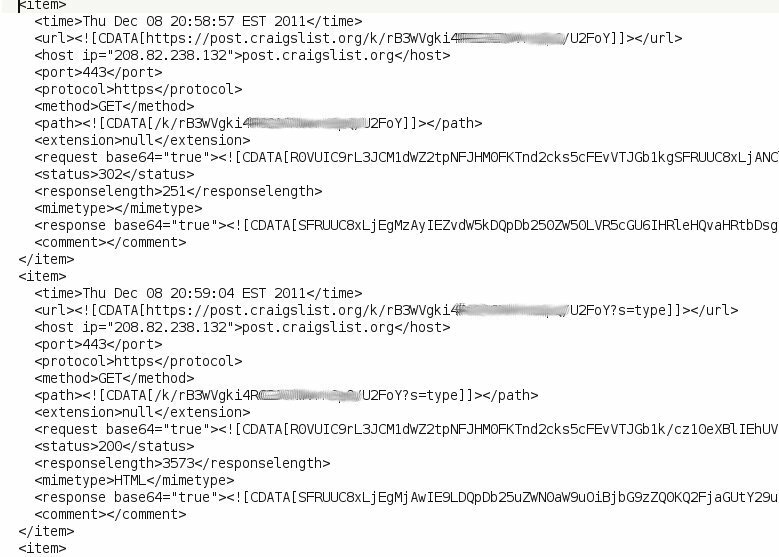 Since I now know that PID 1336 is associated with the connection to the remote server, I want to now look for any http commands or other strings of interest. The 'malfind' command is a very flexible command that will allow for advanced searching using regex, unicode, or ANSI strings. 'malfind' will also find hidden or injected code in user memory. Since volatility uses the yara malware identification and classification tool, you can create and specify a yara-rules file for your search patterns, or simply specify the search criteria on the command line. In the figure below, I ran the malfind command against PID 1336 in order to search for the string "http://" Note in the first block, the interesting strings "SharkConnect", and "http://%s%d/upfile.asp.SetProxy". There is a great deal you can do with volatility and a RAM dump of this kind. For example, you could discover loaded DLLs, list a process' open files and registry keys, extract a process to a .exe, extract a DLL to a .exe, get detailed information on Windows services, etc. 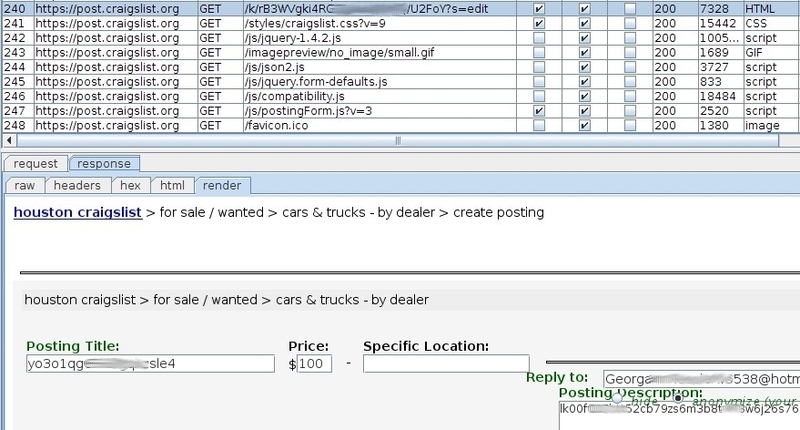 For this example of CVE-2011-0611, I took a memory snapshot almost immediately after the infected Word doc was opened. As I look into this further, I'm going to take a series of RAM snapshots over time and compare the memory artifacts and behavior. 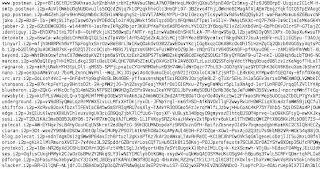 I've placed a link to a password protected copy of the CVE-2011-0611 memory dump (53MB) at the bottom of this post. Please contact me if you want the password for research purposes. I'll remove the password after Adobe releases a patch for CVE-2011-0611. I hope this simple example of using volatility to examine memory behavior of the recent Adobe 0-day encourages you to utilize this awesome tool in your forensics arsenal. UPDATE: On 4/15/2011 Adobe has released a security update for Adobe Flash Player - CVE-2011-0611. The memory dump file as described above is now available without password protection. Welcome to my new blog! In this space, I'll be posting various items pertaining to information security, digital forensics, malware / botnet analysis, and e-crime studies. I'll also post on anything of interest that I feel like sharing. As this blog evolves, I welcome any comments and suggestions, as well as any questions.